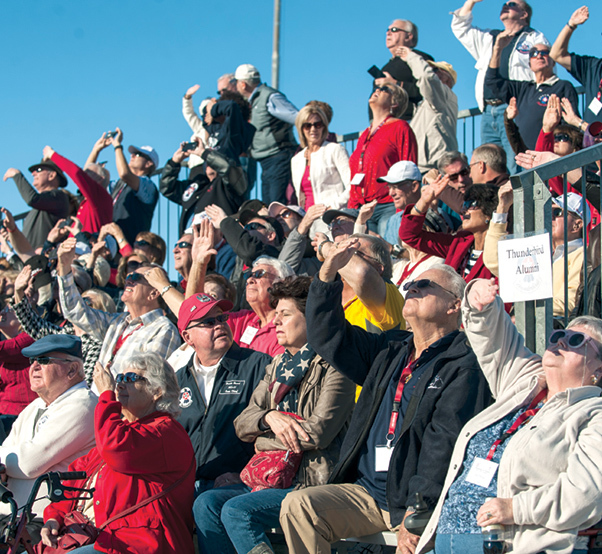 Participants in the Nellis Family/Sports Day event watch an orientation flight by the Thunderbirds on the flightline at Nellis Air Force Base, Nev., Nov. 13. The event was open to all Department of Defense ID cardholders to thank them for their sacrifices. 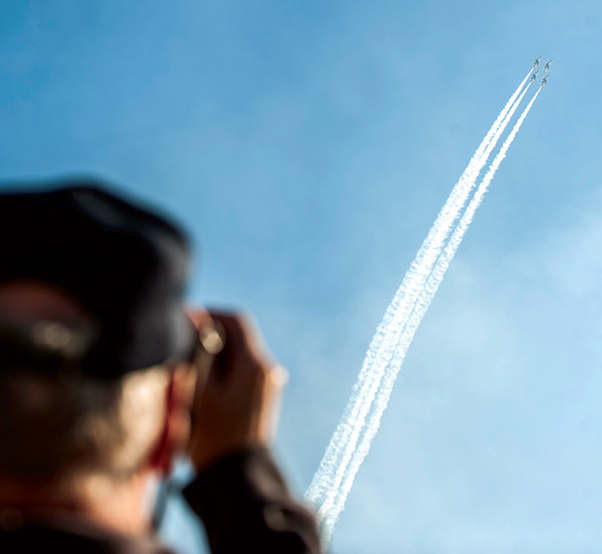 A participant in the Nellis Family/Sports Day event watches an orientation flight by the Thunderbirds on the flightline at Nellis Air Force Base, Nev., Nov. 13. The flight marked the last time the current team flew together, as new members are coming to the team for the 2016 show season. 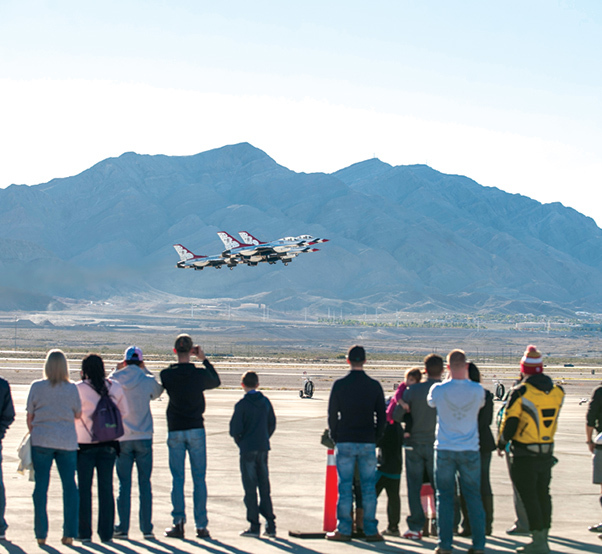 Participants in the Nellis Family/Sports Day event watch an orientation flight by the Thunderbirds on the flightline at Nellis Air Force Base, Nev., Nov. 13. Many former Thunderbird team members attended the event, which was held to honor service members and their families. Participants in the Nellis Family/Sports Day look under the hood of a Plymouth GTX during the event’s Car Show N’ Shine at Nellis Air Force Base, Nev., Nov. 13. 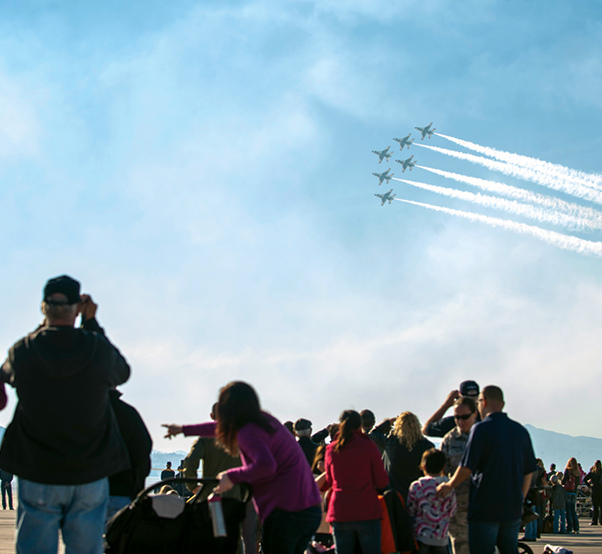 The Show N’ Shine was one event of many that brought Department of Defense ID cardholders together. Airmen from the 99th Medical Surgical Operations Squadron Radiology section push a Humvee during the Nellis Family/Sports Day event at Nellis Air Force Base, Nev., Nov. 13. 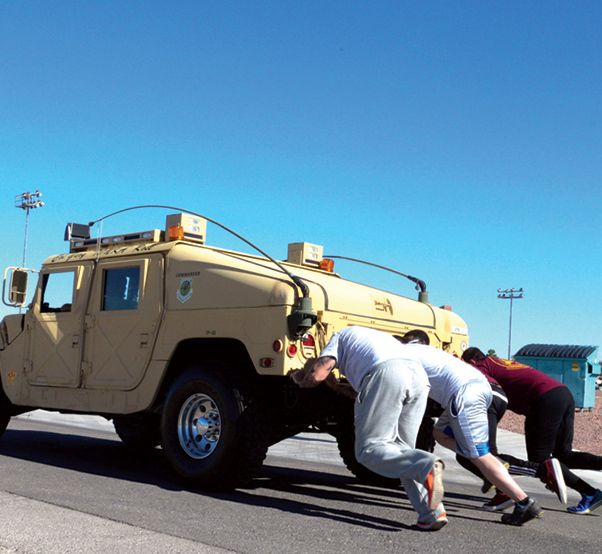 Airmen were timed and evaluated on how fast and far they could push the Humvee. 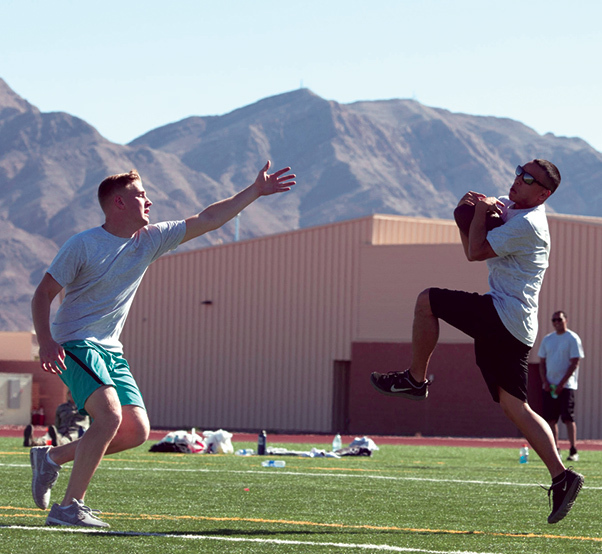 football was one of eight sporting events during the Nellis Family/Sports Day. Participants in the Nellis Family/Sports Day inspect a Mini Cooper custom that was a part of the event’s Car Show N’ Shine at Nellis Air Force Base, Nev., Nov. 13. 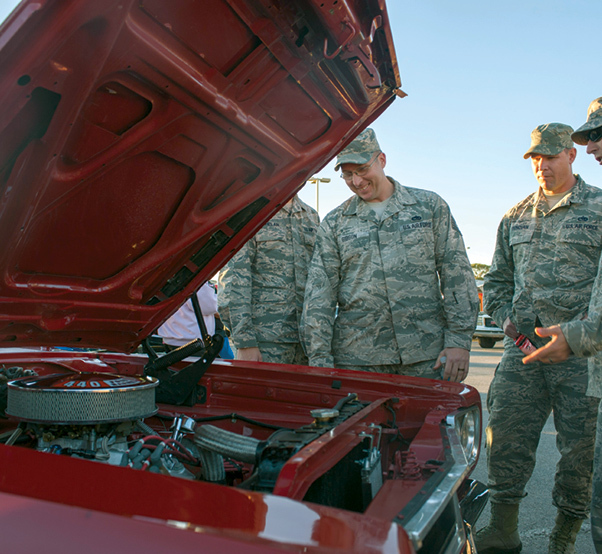 Airmen, civilian employees, retirees and dependents had the opportunity to bring out their own custom and old school cars to the event to show off their hard work and dedication. Staff Sgt. 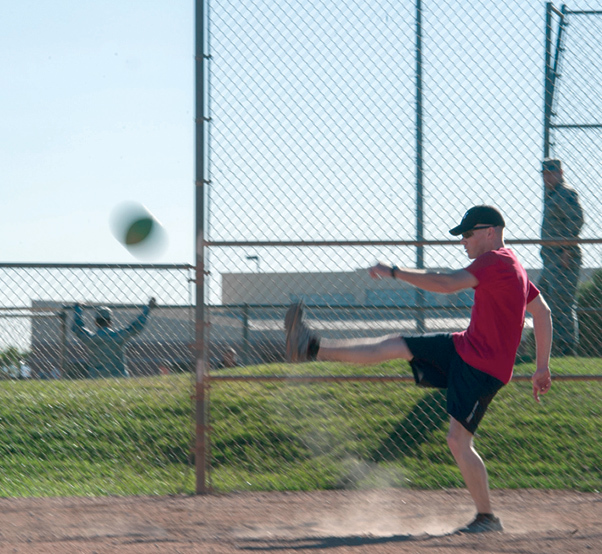 Jason O’Connor, 414th Combat Training Squadron cyber systems operator, kicks a kickball during the Nellis Family/Sports Day at the Warrior Fitness Center on Nellis Air Force Base, Nev., Nov. 13. Airmen participate in team sports as a way of building morale and boosting friendly competition.